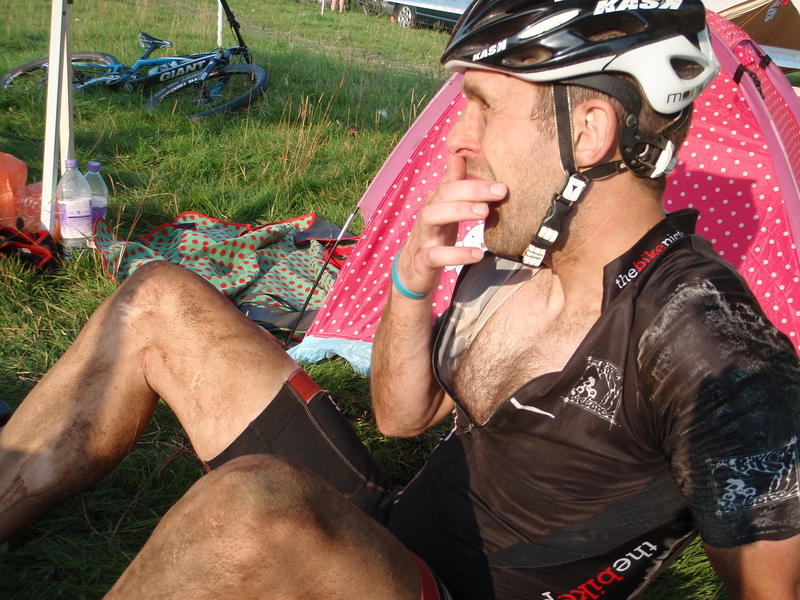 How do I prevent muscle cramping during MTB races? Athlete Question: I cramped up badly racing Park City Point 2 Point? What can I do next time to prevent that happening? Coach Lynda: When athletes cramp in a mountain bike race it is most often the large working muscles in the legs that go first. Cramping is a painful experience and always slows you down. So what causes muscle cramping? Umm…I don’t exactly know! The scientific community does not have a definitive answer, either! There are theories on what causes cramping but no certainties. The best we can do as athletes is to review all the cramping theories, compare them to our own personal cramping history and cover the preventative scenario we think applies to us in our training and race day plans. The current cramping theories include fatigue, low electrolytes (sodium, chloride, potassium, calcium, magnesium), hyper-hydration, dehydration and personal susceptibility. Recently a new neuromuscular theory has emerged that cramps are caused by an excessive firing of motor neurons in the spinal cord, not by the muscle. Under normal circumstances, motor neurons control muscle contractions without incident. But when the nerves are destabilized, painful cramps can occur. Muscular fatigue is currently touted as the most likely cause of cramping. Pushing your muscles in a different way from how they have been trained by using a different movement pattern can cause cramping. Pushing harder, longer and faster than before can cause cramping. For mountain bike racers during the 78-mile Park City Point-2-Point, harder and longer is the most likely cramping culprit. There are two ways to prevent cramping from fatigue; pacing and training. Pace your race to accurately reflect the level at which you have trained. Out-pacing your training is an almost certain recipe for cramping. Hold back in the first half of your race to prevent cramping. In training, push harder and longer to adapt to the pace you want to maintain during the race. This is a tough one to accomplish for a 78-mile mountain bike race that takes on average 9+ hours to complete – like Park City Point-2-Point. I lift to, hopefully, prevent cramping. So far, this has helped me at Leadville. I have lifted going into this race the last three years and I haven’t cramped. In years when I didn’t lift, I’d cramp coming down Columbine, but I’d just kept spinning my legs, though, and they’d go away. It certainly isn’t doing my legs any good, though. I experienced the same thing in the Firecracker 50 this year – and in others – when I haven’t been lifting. I’ll try to get into the gym 8 or 9 times before Leadville, my last one being on the Monday or Tuesday before the race. Before the race add extra salt to your meals to top-up electrolyte supplies. Avoid over-drinking fluids the day before the race as that will dilute your blood electrolyte concentration. During the race supplement with a solution such as Elete or capsules such as Endurolytes to replace electrolytes lost in sweat. Drink just the right amount and not too much to maintain electrolyte balance. Dehydration may or may not cause muscle cramps. Avoiding dehydration is a no-brainer for racers, as dehydration negatively affects race performance in multiple ways. Drink just the right amount and not too much to maintain hydration status. Regular stretching, high intensity training and strength training may help reduce the incidence of cramping. This theory is based on the premise that your muscles cramp when motor neurons in your spinal cord start firing off spontaneously and repetitively. Stimulation of Transient Receptor Potential (TRP) channels in the mouth activate a neural pathway that radiates from the mouth to the brain, with additional neural signals sent down the spinal cord that return the hyperactive motor nerves to normal function. Tastes like pickle juice, hot mustard and hot peppers stimulate these TRP channels. HotShot is a commercial product based on this theory. Drink HotShot, pickle juice, hot mustard or eat hot peppers 15-30 mins before racing and then again during the race if cramps appear. Once your legs do cramp in a race, your best option is to drop the pedal force and spin your way through them. If your cramps are too intense to keep the pedals moving, gently stretch the affected muscle. ← Are you training for a Finish or a Personal Record? What’s the difference? Am doing the Trans Baviaans in August its is our 5th one and last year I cramp badly and don’t want it to happen again. Am going to gym working had on the Watt bike and treadmill straight after it. On a Saturday I do the Grid wish is intense and can feel am getting better but still I hope it helps. Any at vice will be gladly be of great help.